Egg Collecting At Odds Farm Park Is Back! It’s back! 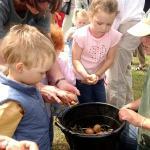 The ever popular Egg Collecting activity has returned to Odds Farm Park! The cheeky chickens at this great venue for a family day out just love to lay eggs. 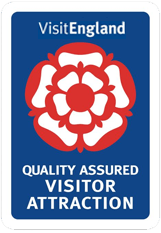 Visitors will enjoy visiting the hen house, feeding the chickens and then collecting their eggs. As part of the daily Animal Activity and Demonstration Programme, Egg Collecting takes place every day until October and is great hands on fun for all on a day out. Elsewhere at this top farm park, there’s plenty to do on a family day out. With hundreds more furry friends to meet, hours of Outdoor Play and the Indoor Playbarn, complete with Astra Slide, Ride-on Toys and the Bale Climb, what will you do first?